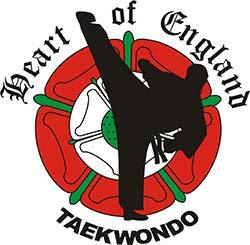 Heart of England Taekwondo. Train Hard – Fight Easy. We take part in Competitions throughout the year, both in the UK and Europe. To be at our best Stretching is essential and part of our training routine. With classes in Coventry, Leicester, Birmingham and Warwick you can explore your Olympic dreams or join us to improve your fitness, learn self-defence, increase confidence and flexibility and mental focus. A short video of Heart of England students practicing their sparring, getting ready to compete. Taekwondo, for fitness, for health, for life!